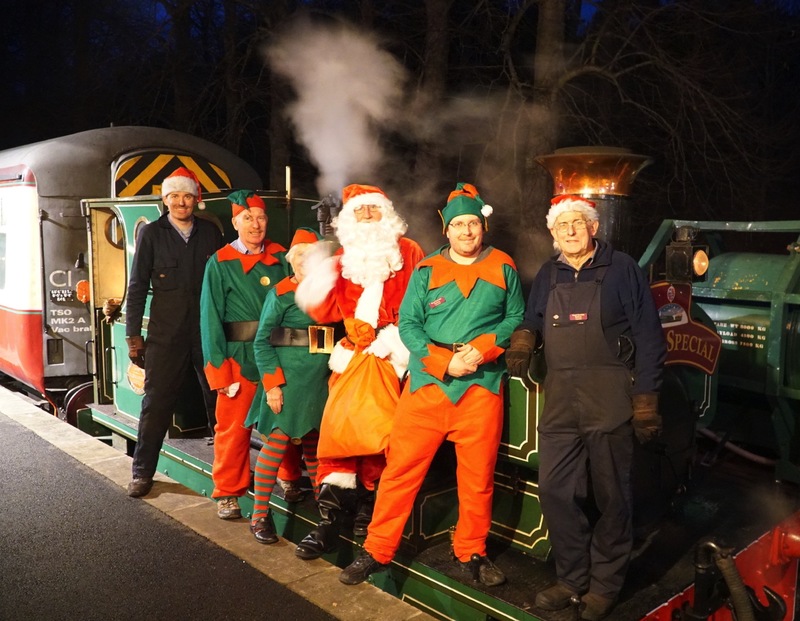 Santa will be at the Milton of Crathes again this year with a sack full of presents for the children, and hot mince pies and drinks for the adults. He’ll be there every Saturday and Sunday from 24th November up to and including Monday 24th December - Christmas Eve, also Friday 21st. Festive singing on all services, which this year will be steam hauled. The whole Santa experience will last approximately 45 - 60 minutes. Santa's on the train ! Please note that there is a £5 admin fee for all cancellations, and also any changes to bookings - payable on the day when you collect your tickets. Bookings cannot be cancelled within 48 hours of the service or after advance booking has closed. Bookings cannot be combined with any other offer or promotion. Making a booking is an acceptance of the Terms & Conditions. All services will be steam hauled but may be substituted by diesel in the event of loco unavailability. All services run weather permitting. 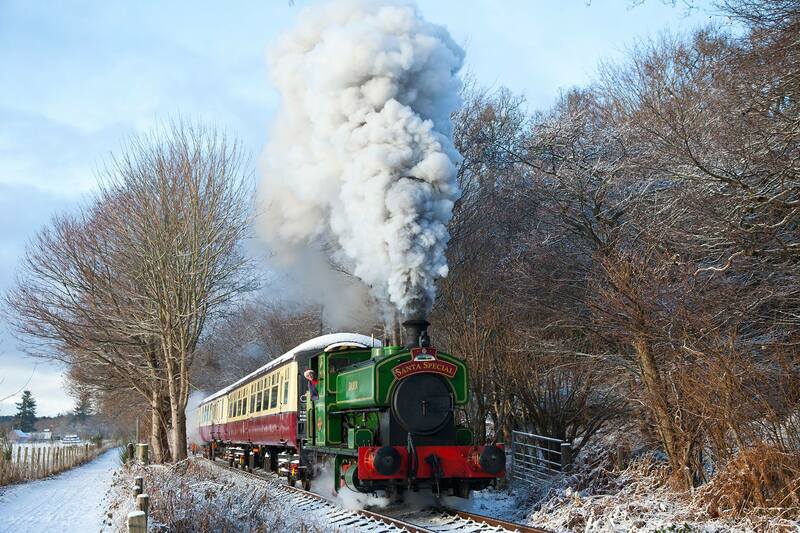 includes a steam train ride, a hot mince pie, tea and coffee. Christmas singing on all services ! Please note, we do NOT charge a booking fee. * Presents are available in three age groups : 1 - 3 ; 4 - 6 ; and 7 - 9 years inclusive. Children under 1 year of age travel free but receive no present. Juniors aged 10 - 16 years receive no present and travel at the reduced ADULT £7.50 rate, unless they wish to receive a present at the CHILD rate.